LAST UPDATED SEPTEMBER 30, 2014. AncestryDNA wants to help everyone to discover, preserve and share their family history through its DNA testing and analysis services. We want you to feel comfortable using your DNA to further your understanding of your family history. We also want to help you understand how your DNA information is shared with others and how your personal information and privacy is protected. This Privacy Statement applies to users registering on the AncestryDNA Website to use the Service (as defined below) on or after October 1, 2014. For subscribers or registered guests before that date this Privacy Statement is effective on November 1, 2014. For the previous version of this Privacy Statement, please click here. By using the AncestryDNA Website and the Service you consent to the collection, use, storage and disclosure of your Personal Information by AncestryDNA in accordance with this Privacy Statement. In this Privacy Statement, AncestryDNA shall mean Ancestry.com DNA, LLC. ("AncestryDNA" or "we"). Much of the personal information on the AncestryDNA Website is uploaded by Users for their own personal purposes. We recognize the confidentiality of information that may be disclosed by Users in registering or making purchases from the Website or performing DNA Tests and we are committed to help protect your privacy choices. AncestryDNA takes your privacy seriously and it is at the core of the decisions AncestryDNA makes when providing you with this Service. Please read this AncestryDNA Privacy Statement and the AncestryDNA FAQs for more details. Ancestry.com DNA, LLC has been awarded TRUSTe's Privacy Seal signifying that this privacy statement, our practices, and the Website have been reviewed by TRUSTe for compliance with the TRUSTe program viewable here or on the validation page available by clicking the TRUSTe seal. TRUSTe’s program does not cover information that may be collected through any downloadable software that may be available on our Website or from third party sites, which are covered by their own privacy statements, which you should review. If you have questions or complaints regarding our privacy statement or practices, please contact us at memberservices@ancestrydna.com. If you have an unresolved privacy or data use concern that we have not addressed satisfactorily, please contact TRUSTe here. AncestryDNA also complies with the U.S. – E.U. and U.S. – Swiss Safe Harbor Framework as set forth by the U.S. Department of Commerce regarding the collection, use and retention of personal data from European Union member countries and Switzerland. AncestryDNA has certified that it adheres to the Safe Harbor Privacy Principles of notice, choice, onward transfer, security, data integrity, access, and enforcement. To learn more about the Safe Harbor program, and to view AncestryDNA’s certification, please visit http://www.export.gov/safeharbor. With respect to processors outside Europe, we attempt to ensure adequate safeguards for your personal information, as required by applicable law, and endeavor to confirm that they have adopted, are subject to, or are contractually obligated to comply with the principles and objectives of this Privacy Statement. 3. Will AncestryDNA disclose any of your personal information to third parties? IV) YOUR OPINIONS AND COMMENTS: If you participate in community discussions, blogs, chats, communications between us or between you and other Users, in disputes and while communicating with member services, AncestryDNA and/or Ancestry will capture that information. You should be aware that any information you provide in these areas may be read, collected, and used by others who access them. To request removal of your personal information from our blog or community forum, contact us by the contact information below and we will consider it for removal. I) TO PROVIDE THE SERVICE: We primarily use of all your personal information to provide you with relevant information such as the Results (including updates to your Results), the latest information about DNA Tests, informational updates that you have requested through the AncestryDNA Website, or to address customer service needs and requests. AncestryDNA may also use your information to let you know about new features or other offers of interest from AncestryDNA or the Ancestry Group Companies. We also use your data to fulfil the purposes for which you have provided the personal information, such as processing your order. See Managing your privacy settings below to learn how you can opt out or change your settings. III) FOR INTERNAL BUSINESS PURPOSES: In order to improve the AncestryDNA Website and the Service (or to develop new products and services), we may use your personal information for internal data analysis, studying how the AncestryDNA Website is used, identifying usage trends and determining the effectiveness of promotional campaigns. IV) TO COMMUNICATE WITH YOU: AncestryDNA may communicate with you for the purpose of informing you of changes to AncestryDNA or of any AncestryDNA-related products and services. Our communications with you will generally be via email, but may be made via telephone, direct mail or another method of communication in select circumstances. You may also receive promotional offers from AncestryDNA, Ancestry Group Companies, or third parties trusted by AncestryDNA or Ancestry. If you do not want to continue to receive promotional emails, you may opt out at any time by using the unsubscribe link listed in the email or see Managing Your Privacy Settings below to learn how you can opt out or change your settings. If you wish to opt out of other methods of communication, please contact us by the contact information below. 3. Will Ancestrydna Disclose Any Of My Personal Information To Third Parties? AncestryDNA will not disclose any of your personal information to third parties except in very limited circumstances which are set out below. Before AncestryDNA begins to transfer personal information to any third party acting as our agent, we will confirm that they have adopted, are subject to, or are contractually obligated to comply with the principles and objectives of this Privacy Statement. I) IN THESE SCENARIOS: Examples of the limited scenarios where AncestryDNA may disclose your personal information to third parties are: (a) with your knowledge and any relevant consents (for example, when you decide to share your Results with others); (b) as described in this Privacy Statement; (c) as may be required or permitted by law, regulatory authorities, legal process or to protect the rights or property of AncestryDNA, Ancestry Group Companies or other Users (including outside your country of residence); (d) to enforce our terms and conditions; (e) to prevent fraud or cybercrime; or (f) to permit us to pursue available remedies or limit the damages that we may sustain. II) TO ANCESTRY GROUP COMPANIES: We may share your personal information with Ancestry Group Companies so that they may provide services to AncestryDNA as described in this Privacy Statement, or provide the additional services of those Ancestry Group Companies to you, and/or for the purposes of connecting you to Users of the other websites operated by the Ancestry Group Companies. The Ancestry Group Companies are subject to similar privacy statements, which you should review. Additionally, as our business continues to grow and change, we might restructure, buy, or sell subsidiaries or business units. In these transactions, customer information is often one of the transferred assets, remaining subject to promises made in then prevailing privacy statements. Also, in the event that AncestryDNA, or substantially all of its assets or stock are acquired, transferred, disposed of (in whole or part and including in connection with any bankruptcy or similar proceedings), personal information will as a matter of course be one of the transferred assets. III) TO YOUR POTENTIAL RELATIVES: If AncestryDNA (or one of the Ancestry Group Companies) determines that you have a potential relative, you may be matched with that potential relative through the Service. Those possible matches will be able to see some of your personal information, such as your ethnicity regions, your display name, or other profile information, depending on your privacy settings. Please note: If you click away from our AncestryDNA Website to visit the site of any third party advertiser or sponsor, you may be asked for your payment card or other personal information in order to purchase or use the products and services that those third parties offer. These companies have their own privacy and data collection practices. We have no responsibility or liability for these independent third party policies. You should therefore review their privacy notices carefully if you have concerns about how your information may be used. In addition, when you visit any other sections of the Ancestry.com website, you will be subject to the Ancestry Privacy Statement which you should review and understand. EMAIL NOTIFICATIONS FOR DNA MATCHES: You can choose whether you want to be notified about possibly DNA matches and, if so, how often. SHARING DNA RESULTS: If you are the Administrator of a DNA Test, you can choose to invite other Users to access to your DNA Results, which will give those Users permission to see your DNA Results and, in certain cases, edit some of your information. Please note: in the event that you or we delete Results, copies of that information may remain viewable elsewhere to the extent any such copy has been shared with others and copied and stored. Additionally, we may retain certain information to prevent identity theft and other misconduct even if deletion has been requested. If you have given third party applications or websites access to your information, they may retain your information to the extent permitted under their terms of service or privacy policies but they will no longer be able to access the information through our platform after you disconnect from them. Information that is removed or deleted may also persist in backup copies for a reasonable time for our internal business purposes but will not be available to you or others. EMAIL SETTINGS: this allows you to control what newsletters, updates, and marketing emails we send to you. You may opt out to receive emails at all times. FAMILY TREE SETTINGS: this allows you to control how others can view, access and/or edit any family trees you may create. Please click here for more info about tree settings. AncestryDNA places great importance on the security of all personally identifiable information associated with our Users. We have security measures in place to attempt to protect against the loss, misuse or alteration of User data under our control. For example our security and privacy practices are periodically reviewed and enhanced as necessary and only authorized personnel have access to personal information. We use secure server software to encrypt financial information you input before it is sent to us and we only work with laboratories and third parties who have met and commit to our security standards. While we cannot guarantee that loss, misuse or alteration of data will not occur however we use commercially reasonable efforts to prevent this. It is also important for you to guard against unauthorized access to your passwords and the unauthorized use of your computer. I) NON-PERSONAL INFORMATION. Your use of the Service and the AncestryDNA may result in the storage or collection of computer-generated data or other information that does not personally identify you (“Non-Personal Information”), such as the fact that a DNA Test is attached to your account, your activities on the Website, the website from which you have come to the AncestryDNA Website, your Media Access Control address, your computer type, screen resolution, operating system version and Internet browser, as well as information based on your interaction with the Website, such as web log information, page views, and IP addresses on an anonymized basis. We have to use your IP address and other Non-Personal Information to deliver the Website and the Service to you and to help diagnose problems with our server. We may also collect Non-Personal Information such as demographic data, age groups, and your geographic areas, etc. Non-Personal Information also includes personal information that has been aggregated in a manner such that the end-product does not personally identify you or any other user of the Website, for example, by using personal information to calculate the percentage of our users who have a particular telephone area code or who are female. This technology helps us compile aggregated statistics about our Users and their use of the Website. We use these statistics to improve the design and content of the AncestryDNA Website and to prepare and deliver our marketing programs. Because Non-Personal Information does not personally identify you, we may use Non-Personal Information for any purpose, including sharing that information with the Ancestry Group Companies and with other third parties. In some instances, we may combine Non-Personal Information with personal information (such as combining your name with your geographical location). If we do combine any Non-Personal Information with personal information, the combined information will be treated by us as personal information, as long as it is combined, and its use by us will be subject to this Privacy Statement. AncestryDNA strives to show you relevant advertisements both on the Website and elsewhere on the Internet. AncestryDNA uses some third parties to show you AncestryDNA-related advertisements that are tailored to you based upon your interests or online behaviors. Any such targeted ads placed on our behalf will contain information on or near them that informs you about the third party delivering you the ads and how to opt-out of receiving such ads in the future. If you wish to not have your information used for the purpose of serving you targeted ads from us and our TRUSTe-compliant partners, you may opt-out by clicking here and here (you must do both to opt-out). In addition, if you are a Facebook user and would like to opt out of receiving Facebook ads personalized based on the websites you visit, please click here. Please note that the above links do not opt you out of being served advertising. Because occasionally the AncestryDNA Website may be partially advertiser supported, you may not "turn off" the advertising that appears on AncestryDNA Website. You will continue to receive generic ads that may not be as relevant to you. If you are concerned about other interest-based ads you are receiving on other websites, you may want to visit http://www.networkadvertising.org/choices/ or http://www.aboutads.info/choices/ for additional opt-out information. Also, please note that if you delete, block or otherwise restrict cookies, or if you use a different computer or Internet browser, you may need to renew your opt-out choice. We are committed to complying with all applicable laws and regulations governing the collection and use of personal information. From time to time, AncestryDNA will review its personal information collection, use, and disclosure practices in order to assure that we are complying with our Privacy Statement and all applicable laws and regulations. 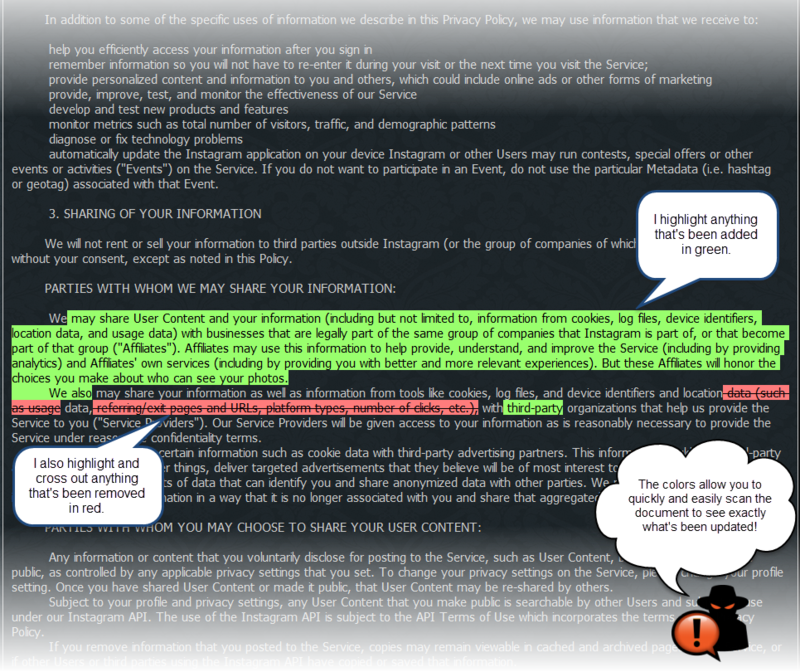 If we decide to change our Privacy Statement, we will issue an updated version of this Statement with an updated date legend and/or notify you via email, via the Website or by other appropriate means prior to the change becoming effective if it is a significant change so that you will be aware of what information we collect, how we use it and under what circumstances we disclose it in accordance with applicable law. You should review this Privacy Statement regularly to ensure you are familiar with any changes to it. If you do not consent to any changes to our Privacy Statement and as a result you would like us not to use or hold your information in accordance with the revised terms, you may notify us here so we can discontinue your account. If you have any questions about this privacy statement, AncestryDNA’s privacy practices, or your dealings with the AncestryDNA Website, or wish to request access to and receive information about the personal information we maintain about you (note please that the right to access personal information may be limited in some circumstances), update and correct inaccuracies in your personal information, have the information blocked or deleted, as appropriate, or oppose (in case of legitimate reasons) the processing carried out with respect to your personal information, you can contact us by either calling 1-800-958-9124 or emailing us at memberservices@ancestrydna.com. We will respond to all access requests within 30 days.